Brides can be very specific. 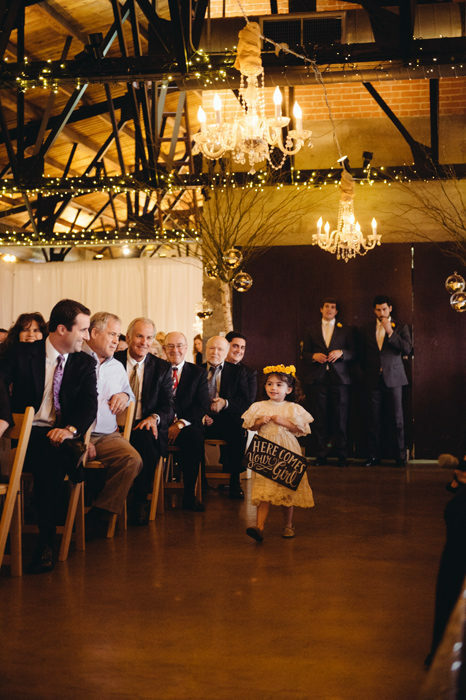 But when the bride is a wedding professional, specificity often sees a whole new level. 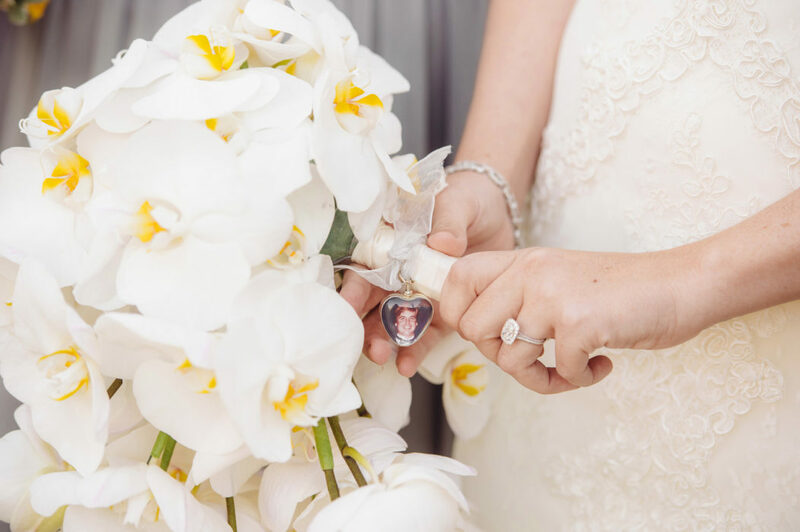 Such was the case with Kristen McMenamy, who for the last five years has owned and operated Kristen Dee Photography. Kristen has been behind the lens at scores of weddings, seeing all manner of what works and what doesn’t, especially when it comes to pictures. 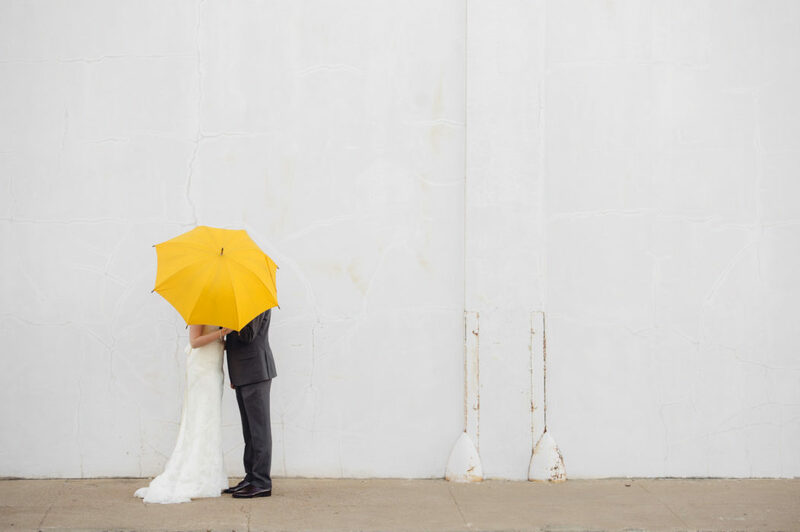 When planning her wedding to banker Aric Crouch, she approached things with a photographer’s eye, which meant extra attention to details like color, contrast, and symmetry. She laughs when she recalls how she and Aric first met at the annual St. Patrick’s Day parade and party on Greenville Avenue in 2011. On a sunny day soaked in beer and whiskey and filled with laughter and cries of “Kiss me, I’m Irish,” a casual introduction might have been unmemorable. But for these two, it was pure luck. Before long, they were dating; 18 months later, they were engaged. 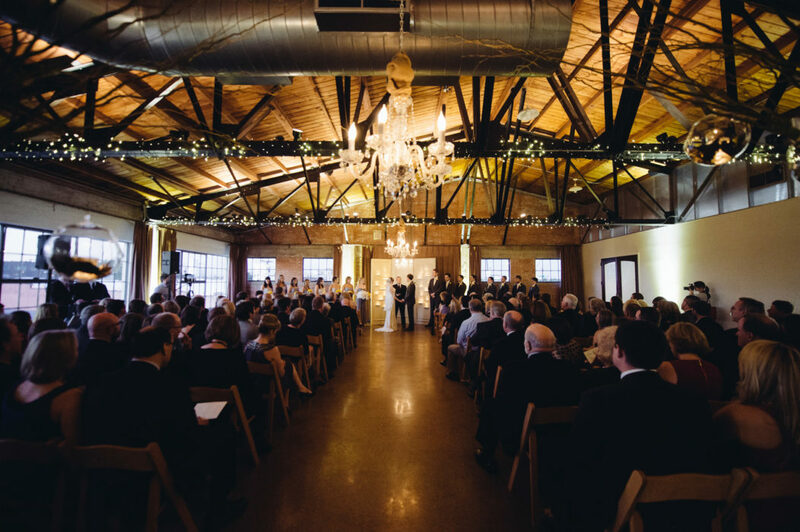 The couple chose Hickory Street Annex for their November 2, 2013, wedding, falling for the large windows on all four sides of the building, exposed brick walls and steel trusses, wood ceiling, and concrete floors. 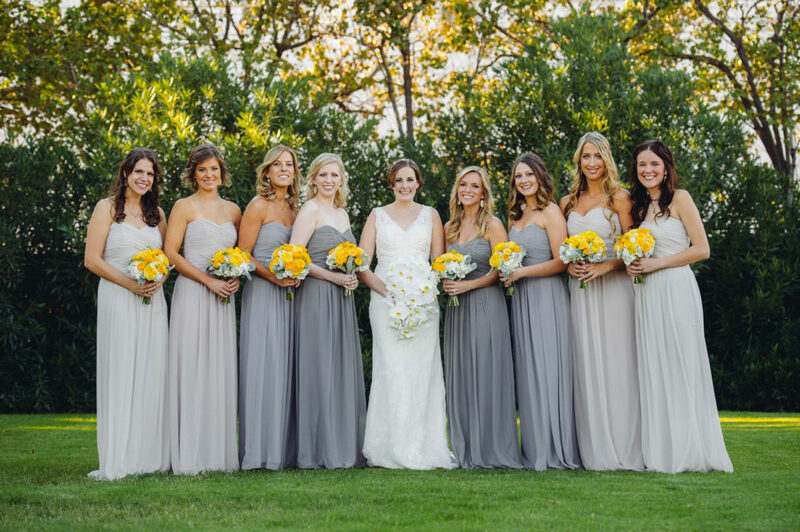 Kristen describes her vision as “a pretty unique, stylized day … rustic, but modern and chic.” After choosing the perfect venue, she called Jaime Jones at Bella Flora of Dallas. 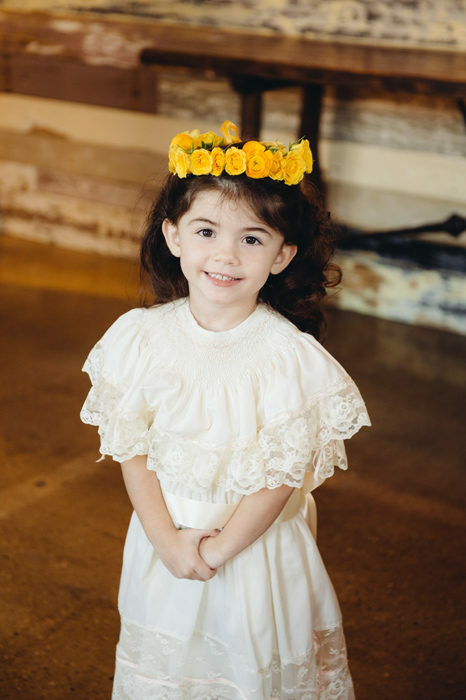 Drawing from inspirational pictures of the bride’s favorite things, Jaime, along with Bella Flora’s Marianne McGee, transformed the Deep Ellum warehouse space into something right out of Kristen’s dreams. 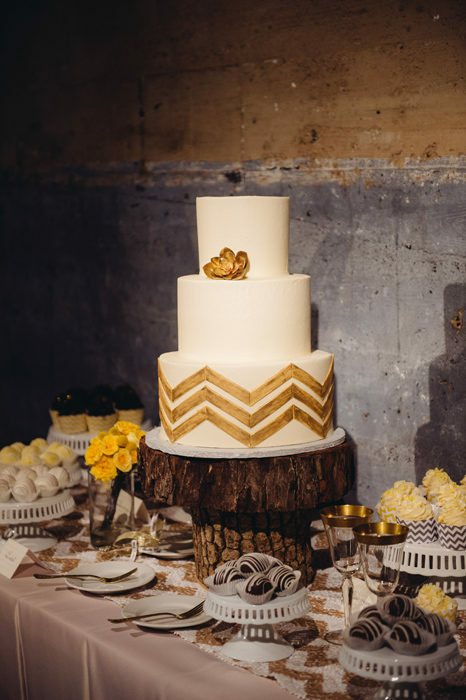 The bride’s list of wants included the color yellow, chevron patterns, crystal chandeliers, golden touches, and lots of wood—and that’s just what she got. Around 185 guests attended the ceremony. Light from the setting sun streamed into the room as Kristen and Aric held hands and stood before a candlelit altar the groom made from old wooden doors to exchange vows. 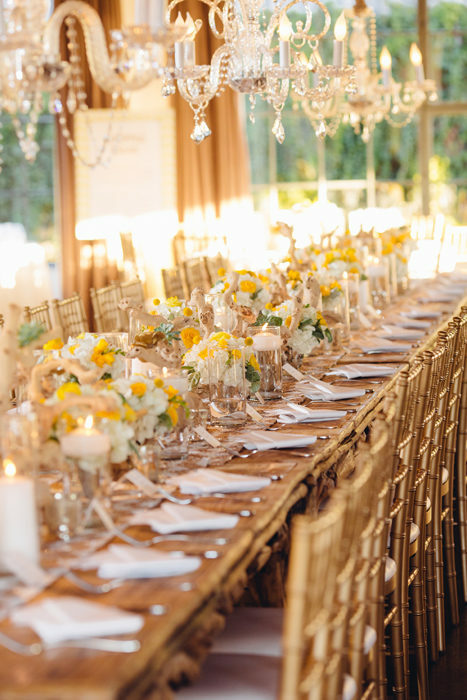 Afterward, guests sat at round tables or one long table that looked as though they were right out of a forest fairy tale. 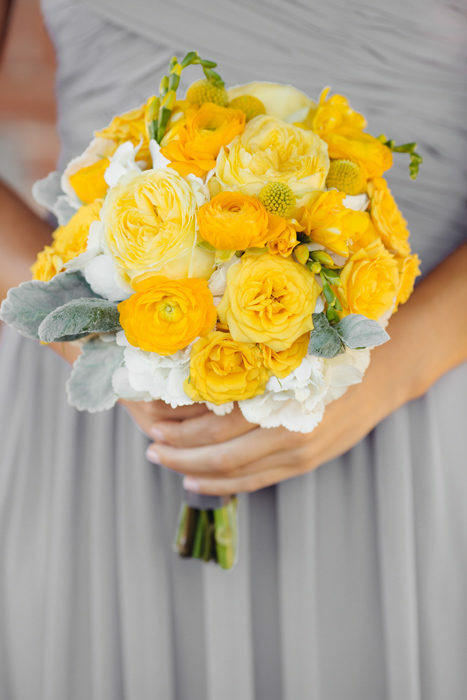 Each was set with a spectacular tangle of birch wood, white hydrangea, billy balls, yellow ranunculus, yellow garden roses, spotted white phaleos, and succulents spray painted gold. 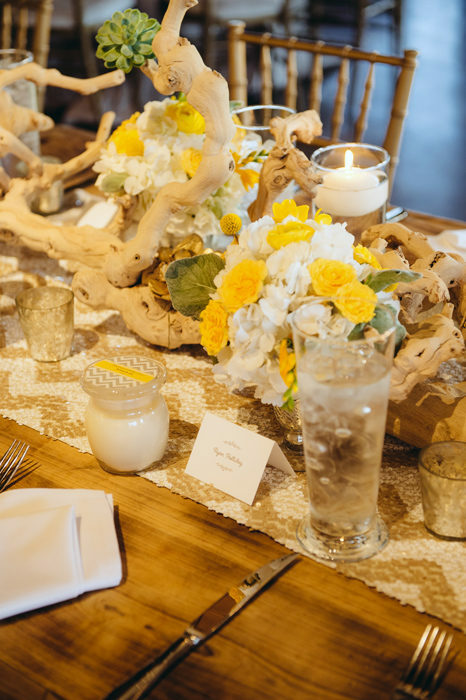 Food reflected the rustic vibe; a mashed-potato bar, brisket station, sliders, and chicken and waffles fueled a dance party that lasted nearly till midnight and ended with a confetti exit, a fireworks display, and, of course, lots of kissing. All of Ireland would have approved. Food reflected the rustic vibe; a mashed-potato bar, brisket station, sliders, and chicken and waffles fueled a dance party. 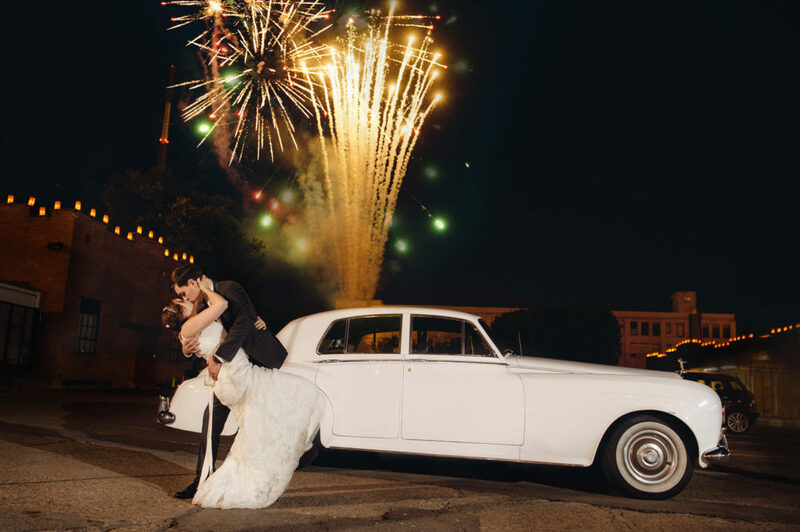 Enter your comment here… Aric and Kristen: Your wedding was spectacular. I hope you thank your parents often, for without them, it would not have been the dream and majesty come true. Thank you for letting me be a part of it. May God continue to send you His choicest blessings and may you have a beautiful, healthy, long life together.